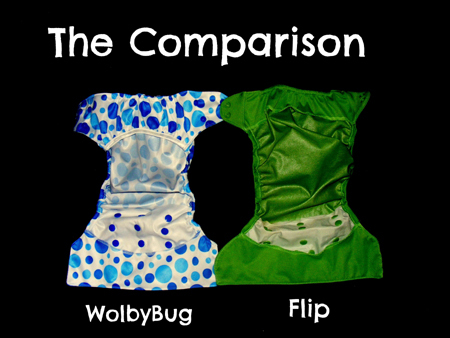 Wolbybug OS Diaper Covers vs. Flip Diaper Covers, How do they compare? If you are like me, sometimes you get stuck in a cloth diaper rut! You may like to stick with what you know works, and what you are comfortable with. That is how I am with my Flip Diaper Covers! They work well for me, so why “rock the boat.” That was until I discovered the WolbyBug Diaper Covers from Knickernappies! These covers can be used multiple times before they have to be washed. If the baby has not soiled the diaper, you can quickly wipe out the inside of the cover, hang it dry, and use it for another change. The price is only $10.99 for 1 cover. The more covers you buy, the cheaper the price! Pair that with the Knickernappies Indian Prefolds and you have an inexpensive yet highly effective cloth diapering solution! The cover has a three step rise which allows it to fit most babies 8 to 35 lbs. The cover also has a front tuck flap which helps to hold the insert in place, and prevent wicking. 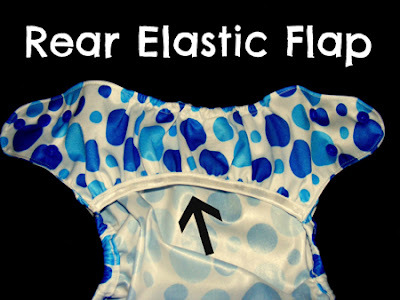 Double waist snaps and a hip snap help to prevent wing droop. The WolbyBug cover has a cross-over snap for those skinny babies. This feature also allows you to wrap up a soiled diaper when you are on-the-go. The diaper fabric is made of a waterproof PUL to help prevent leaks. Do I have you convinced yet? Have you heard of these diaper covers before? Bio: Julie is a semi-stay-at-home mom to her handsome son J.T. who is 7 months old and wife to hubby Jered who is a teacher and pastor. J.T. provided her motivation to start Cloth Diapering! Not wanting to expose his little bum to all those chemicals in disposables and not returning to work full time, she was looking for a safe and inexpensive alternative. Cloth Diapering were her answer! Julie considers herself an advocate for cloth diapers and with her blog, My ClothDiaper Stash, she hopes to share her passion and help others reap the benefits too. She is also a contributor for She Thinks Media. I love the comparison. 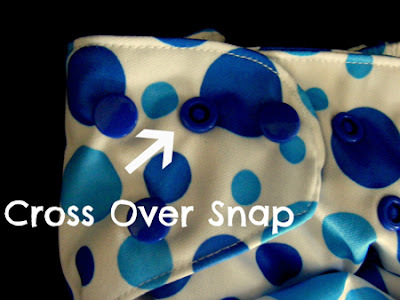 I have not yet tried these diaper covers but love the rear elastic and cross-over snaps! Maybe this will be my next purchase! Wow, these look great! And I love the price, too! I love Flips too! The rear elastic looks amazing. I love the prints too. How thick is he PUL on the wolbybug cover compared to the flip? My flip ones are cracking and they arent even a uear old. I just ordered a light blue wolbybug cover to try out. Staining Part 2: After a 2nd dose of sunning! A review of side snapping cloth diapers! Tips to get you started with cloth diapers! Featured Fluff Addict, Anne from ZephyrHill Blog!